Ralph Connor House is located at 54 West Gate in Armstrong's Point. The home of prominent, internationally successful Canadian author Revered Charles Gordon (pen name Ralph Connor), Ralph Connor House has received heritage designations from the federal (2009), provincial (2004) and municipal (1983) levels of government. In the late 19th century, Canada was still just another British colony, notable perhaps for its vast resources, but not particularly important on the world scale. Then in 1898 and 1899, two novels were published that quickly became popular around the world for their adventuresome and moralistic narratives about the Canadian West. The author was Ralph Connor, and the books sold millions of copies worldwide. Ralph Connor soon became a household name in many parts of the world, with a total of 22 novels were published, making him the most successful early 20th century Canadian author. However, in his own household, "Ralph Connor" was known by a much different name: Reverend Charles William Gordon. 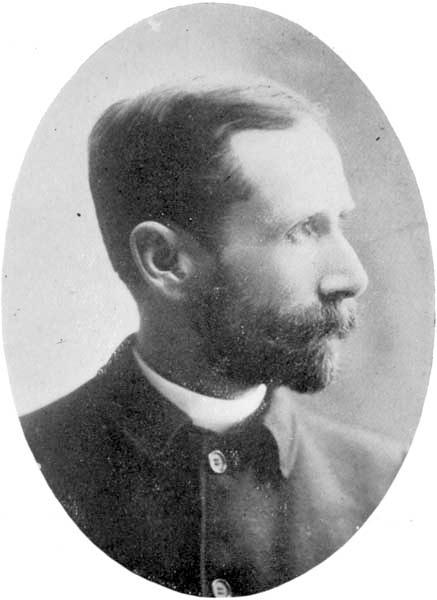 Reverend Charles William Gordon, who went by the pen name, Ralph Connor. Source: Manitoba Historical Society. Rev. 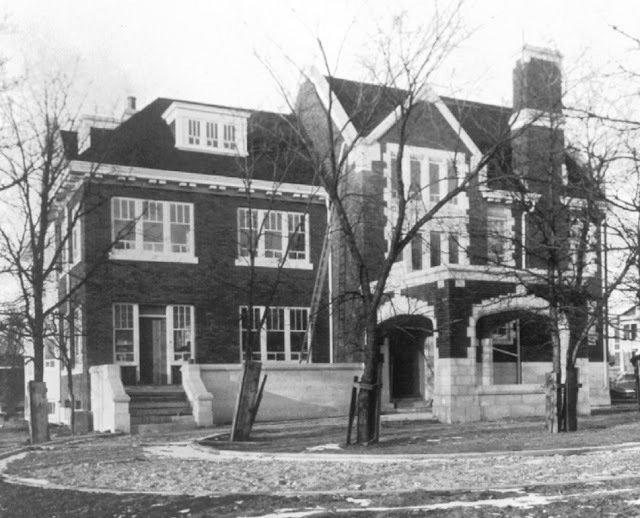 Gordon moved to Winnipeg in the 1890s, shortly before publishing his first book, and his large manse was built just before the First World War, in 1913-1914. By the time 1910 had rolled around, Rev. Gordon was one of Winnipeg's millionaires, and it shows in his palatial yet warm family home. Designed by Northwood and Chivers, and located in the high-status historic neighbourhood of Armstrong's Point, the large home was built using red brick and Tyndall stone in the Jacobethan Revival style. This nostalgic style uses elements such as steep roof gables, terracotta brickwork, contrasting window and door surrounds, and high chimneys to evoke the ambiance of English architecture of the 16th and 17th centuries. Ralph Conner House in 1914. Source: City of Winnipeg. After Rev. Gordon died in 1937, the taxes owed forced the Gordons to sell off the house and nearly all the furniture inside it. Unfortunately, Gordon had left his affairs in the hands of some incompetent fellows during his time serving in the war and his fortunes were much reduced. Luckily, the City of Winnipeg found a tenant for the house almost immediately, in the University Women's Club (UWC), which formed in 1909. The UWC took possession on February 23, 1939, managed to furnish the house on a shoestring budget, and began renting out ten rooms in the house to their members. Ralph Connor house proved so popular that the UWC's membership skyrocketed, and soon there were all kinds of events going on at the house: book clubs, teas, luncheons, you name it. Over the years, a number of contemporary and original pieces were donated to the house, including several from the Gordon family which were re-installed in their original locations. 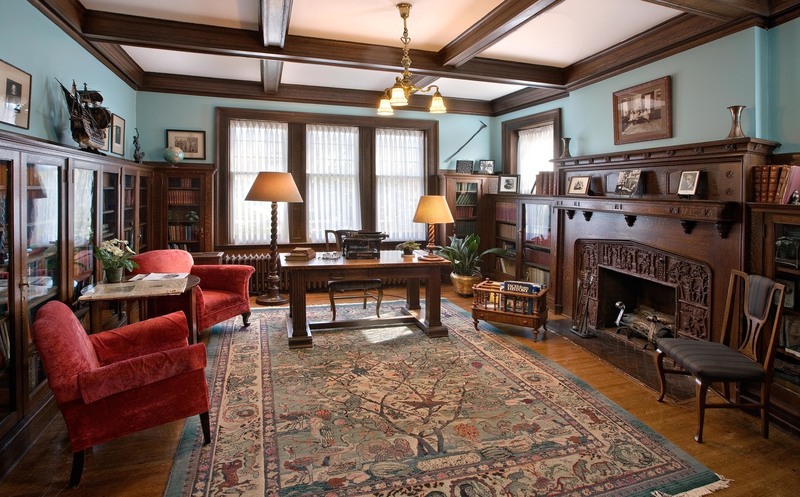 Nellie McClung, a friend of the Gordon family, donated her oak library table for the house. 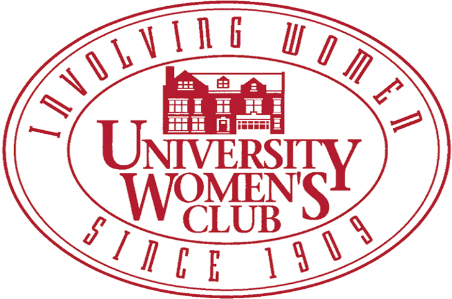 The University Women's Club moved into Ralph Conner House in 1939. Source: University Women's Club. 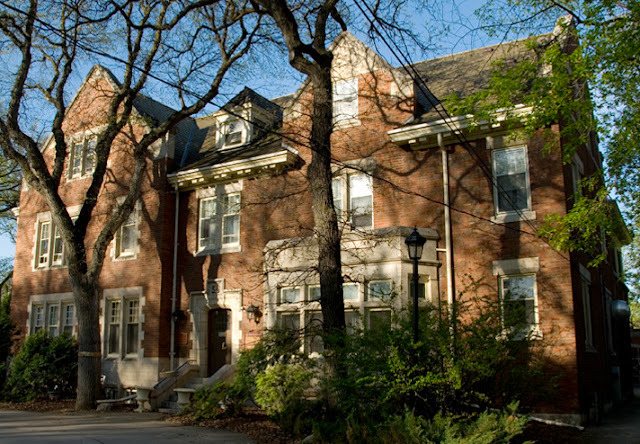 Within a few years, membership had increased so much that the UWC was able to purchase Ralph Connor House outright in 1945 from the City of Winnipeg. The house continued to be home base for many UWC members, but in 1962 the wear and tear on the house got to be too much for the upper floors, when a good deal of the plaster elements of the ceiling fell down. The gradually eroding riverbank was among the causes of the issues, and over eight months about $17,000 in repairs were completed in the historic house, mostly raised by club members. The house officially re-opened on December 13th, 1962, to the great satisfaction of the club members of the UWC. 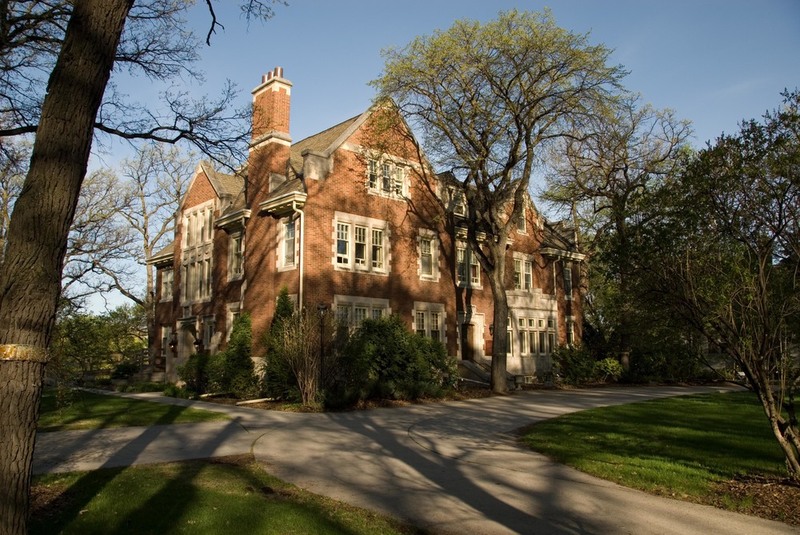 In 1976, the University Women's Club was recognized for their tireless and committed efforts to preserve this grand heritage building by the Department of Canadian Heritage. During the late 1970s and early 1980s, the UWC slowly moved members out of the house as tenants, in order to open up the first and second floors for the more lucrative teas and meetings. In 1982, the first and second floors were officially turned into an event centre that could be rented out by members of the public. One year later, the house received its first heritage designation, from the City of Winnipeg, on June 20th, 1983. In 2003, the Friends of Ralph Connor House (a registered charity) acquired the house from the University Women's Club, although the UWC still managed activities taking place in the house - and still does to this day. Again, the year later the house received a provincial heritage designation, on March 10th, 2004. The same year, the UWC received an award from Heritage Winnipeg recognizing their Distinguished Service in their long efforts to preserve and restore Ralph Connor House, including their efforts to repopulate the house as much as possible with original or contemporary furnishings. The last, and most uncommon, heritage designation came from federal authorities on April 20th, 2009. Ralph Connor House was now one of very few historic houses that could boast of heritage designations from all levels of government in Canada. Heritage Winnipeg was proud to be involved in securing this key designation for Ralph Connor House. The house is really three different stories intertwined: the story of Ralph Connor (aka Charles Gordon), the story of the University Women's Club, and the story of the house itself, how the building represents the era it was built in as well as the uses it has served over the years. While the building on the footprint is historically significant, focusing only on the building can obscure more extensive connections in terms of geographic location. Ralph Connor House is located in the historic neighbourhood of Armstrong's Point. In short, the whole neighbourhood is significant to our city's heritage by virtue of its unique layout and configuration, its association with prominent Winnipeggers (including Ralph Connor), and its intactness as a historic streetscape of the early 20th century. Since 2013, efforts have been ongoing to have Armstrong's Point designated as a Heritage Conservation District. Such a designation would recognize the heritage value of the area as a whole, as well as the individual homes in it, including Ralph Connor House. Ralph Conner House, present day. Source: University Women's Club. 54 West Gate: Stories of Ralph Connor House by Friends of Ralph Connor House, 2005. I love historic house and thank I came across here. connor house is wonderful. Thank you for sharing this with us. The Union Bank Tower - Canada's First Skyscraper?